Abroad Study from Nepal in Land of Dream Countries like USA, Australia, UK, Canada and Other High Exposure Areas which has Quality Education for Students. Nepal has seen an unprecedented expansion of education supply in the last decade whereby the injection of capital by the private sector has led to an emergence of a multitude of institutions to deliver higher education. The expansion of education supply has been a truly incredible and immensely important proceeding for Nepal, one that has allowed it to extend education supply into a diverse range of markets. While the quantity has sufficiently increased, the quality of education and standards haven't been held up to the same standard. Growing demand for international and quality education requires an efficient mechanism of education supply, especially for where there are shortages. The challenges Nepal is poised to counter need an educated population that rather than knowing what to think understand how to think. It is that level of literacy that will enable our nation to counter numerous challenges and utilize our youthful human capital to build great ideas, businesses and government that merge together to advance toward the adventurous frontiers of learning and knowledge. 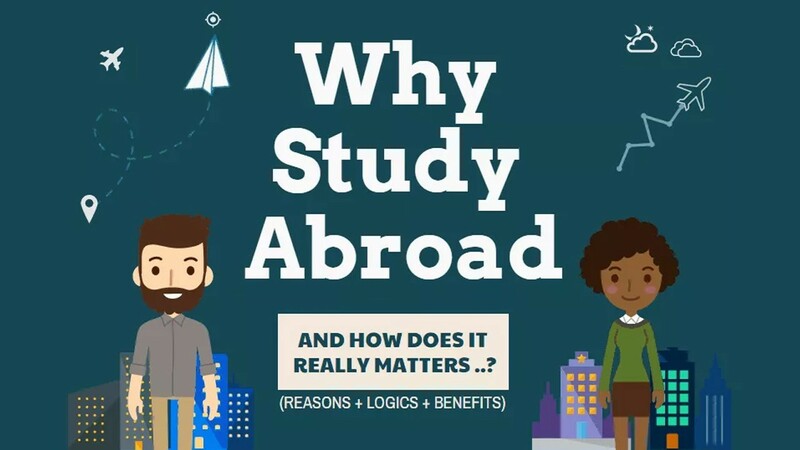 Hence, the major drawbacks of not studying overseas are the absence of exposure, perspective, diversity and thinking that one otherwise is subject to in an international learning environment. Let's try and understand this holistically, look back at your years at school. What did you really learn? Yes this includes the top tier high performing students too. Have you ever questioned the learning methods? Can you think critically, analytically? How about laterally? Gaining exposure to outdated content which one is then forced to memorize in order to spout during exam-time isn't an education, even the new age robots do better. If you are left clueless by the above questions let me assure you that what school has done for you is condition you to think linear instead of lateral, taught you what to think rather than how to think, made you literate but at the same time kept you illiterate as a result of narrow perspectives and a lack of awareness whether emotional, social, spiritual, financial or scientific. A society cannot function without order, however it cannot progress with a population that is only kept smart enough to operate the machinery but stupid enough to not really be aware of its own surroundings. Hence, is it content that an overseas education is valuable for? Well, to a certain extent yes, however even more importantly it is the exposure to different value systems, cultures, systems and people that an overseas education is considered excellent and increasingly important for if you are to at the very least stay at pace with the changing socio-economic technological environment. That's exactly why world-class universities are looking for candidates from diverse backgrounds, candidates that are interesting and can add value to the dynamics of their learning environment. Although immensely important, academics are only a part of what makes an application tick, the rest is determined by the candidates outlook on how their area of learning and interest fits into the broader society as well as the applicant's outlook on how they as an individual can leave a mark and impact their environment and surroundings in a positive manner. It is this experience of being in an incredibly innovative and exciting learning environment with people who are ambitious and driven to explore the world, counter challenges and become the global leaders each of us have the potential to be that makes an overseas education valuable. The former president of Harvard, Derek Bok once stated, "If you think an education is expensive, try ignorance". Well he's absolutely right because just as today's businesses are valued by the intangibles, a fantastic education is largely determined by one's exposure to those intangible elements that consequently shape one's thoughts, views and vision for the future in a healthy and positive manner. Put simply an overseas education allows you to get past the narratives that have been set up as key influencing mechanisms in your environmental stimulus, allows you to truly live and explore the world as a global citizen, a citizen of planet Earth and an expression of the universe.